An overwhelming majority of vets want to play a more active role in furthering the sustainability of the livestock sector in the UK, a survey shows. 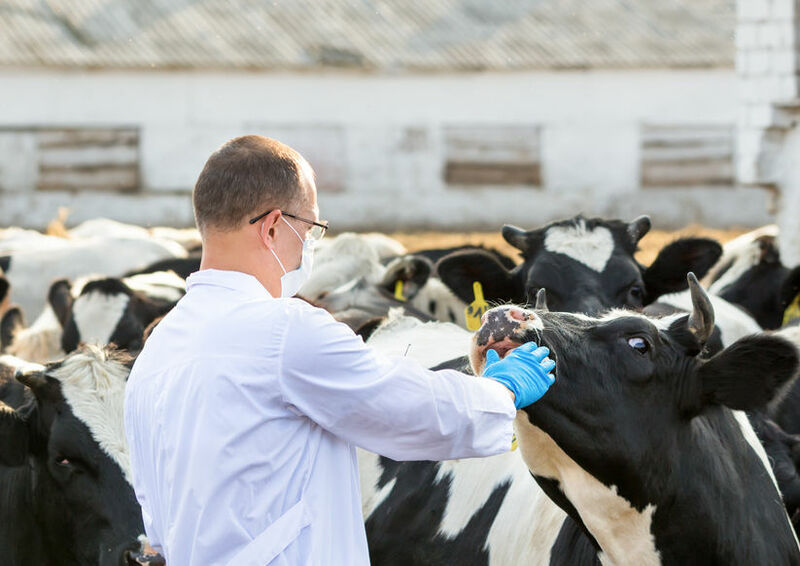 The veterinary profession wants to work more closely with the farming industry to ensure that animal health and welfare are front of mind in efforts to improve sustainability. Eighty-nine percent (89%) of vets said that they would like to play a more active role in this area. The findings have been highlighted in the latest Voice of the Veterinary Profession Survey by the British Veterinary Association (BVA). The report recognises that farming animals can result in significant environmental challenges and recommends that to reduce impact on the environment, changes to the way in which the industry farm's animals for food must be made. The BVA says that vets play an 'integral part' in the livestock sector and are 'well placed' to advise sustainable husbandry practices and management systems from farm to fork, with a view to better protect and conserve natural resources, wild species and biodiversity. In its recommendations for sustainability, the organisation says that any changes, new technologies or innovative methods used to achieve a more sustainable practice must not compromise animal health or welfare. It also says that to be considered sustainable, agricultural systems must provide for animal welfare needs and that both the veterinary profession and other key stakeholders would contribute to making sure that farm animals have a good life and humane death as part of that agenda. BVA President, Simon Doherty, said: “Vets are an integral part of the agriculture and food sector, providing preventive healthcare and treatment for livestock, carrying out disease surveillance, promoting good biodiversity and high animal welfare standards.